Welcome to Waterfront West. By accessing information or registering on our Site www.waterfrontwest.ca &/or www.waterfrontwest.com, you are solely liable for your conduct on this Site and any information you upload, download or transmit to or from this Site. 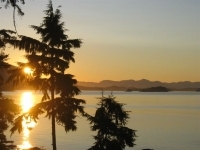 Waterfront West provides a marketplace for advertising waterfront and water view properties for sale in British Columbia as well as the services of real estate professionals and service providers who can help buyers of the aforementioned type of real estate. We provide resources to inform our users and keep them up to date with changes and news about BC's waterfront real estate market. Waterfront West is an advertising service. 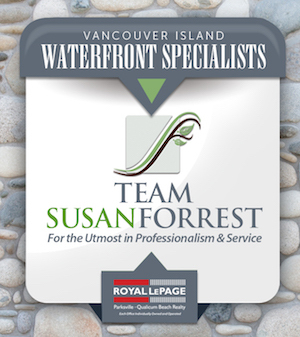 Waterfront West does not engage in real estate broker services and we are not licensed to carry out such services. Real estate brokerage and all related activities are carried out exclusively by the property owner or real estate agent, broker, developer or service provider representing the property advertised on our service. We are not licensed reasl estate agents and we do not take any commissions for the sale of property on this Site. Waterfront West receives advertising fees in exchange for promotion of properties and real estate services on our Site. Waterfront West’s payment is governed by the terms set forth in the agreement between Waterfront West and the advertiser (Realtor, property owner, developer or service provider). Waterfront West does not endorse, sponsor nor recommend any developer, real estate agent, broker, service provider or private seller who advertises real estate or offers services through this Site. 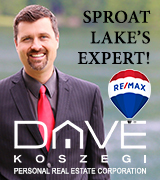 We do not and cannot warrant that any Realtor, broker, developer or service provider who advertises on our Site is licensed, capable or qualified of performing any service they advertise. We also do not make any assurance regarding the timeliness or accuracy or the advertisements on this Site or guarantee the accuracy of any further communications with advertisers on our Site. Furthermore, we make our best attempt to collect accurate statistical information regarding the real estate market, but make no assurance of the accuracy of information provided by outside sources. Users are required to make their own judgment and decisions regarding the merits of any individual, business or service advertised or represented on the Site or by Waterfront West. As a user of www.waterfrontwest.ca or www.waterfrontwest.com , if you make e-mail contact or otherwise with any advertiser on this Site, you hereby give permission to Waterfront West Real Estate to view or hear any recorded information involved in these communications. You are not required to accept any proposals submitted by other Waterfront West Users. Proposals are not binding offers and they are not intended to create a binding legal agreement between you and the advertiser. You agree that as a seller/advertiser on our site, we reserve the right to restrict your access to the "Property Management" section of our Web site should you attempt to add photos and/or features to your advertisement/s which you have not purchased and paid for in full. By providing Waterfront West with content for their ads, our advertisers take full responsibility to ensure that all contents of their ad, including, but not limited to text, digital images, organization, digital conversion, graphic and other files are either Copyright free or owned by the advertiser. By advertising on Waterfront West, the advertiser agrees to accept responsibilty and liability for any action taken against them or Waterfront West regarding breach of copyright law. You acknowledge that when you submit an enquiry to one of our advertisers using the enquiry form, your email is sent directly to the advertiser as well as copied to Waterfront West. Your email address will not be resold or redistributed to anyone else other than the advertiser to whom it was directed and Waterfront West. The cc serves mainly as a backup in case the advertiser does not receive it due to mechanical or human error (junk mail filters/incorrect email addresses). Users are strictly prohibited from and shall not attempt to gain unauthorized access to Waterfront West's database or any computer systems used in connection with the Site, nor attempt to modify, translate, adapt, edit, decompile, disassemble, or reverse engineer any database or software programs used by or in connection with Waterfront West or the Site. Furthermore, users shall not participate in any activity that disrupts, diminishes the performance of, interrupts or impairs the functionality of the Site or Waterfront West's services, and shall not use any portion of this Site for unlawful purposes. Once you are registered with Waterfront West, you agree to maintain complete responsibility for confidentiality and use of your account information including password and username. You are completely responsible for all activities that occur related to your account and agree to notify Waterfront West immediately in the case of misuse or security breaches related to your account. Linked sites that you will find on this Site are not the responsibility or under the control of Waterfront West. Waterfront West is not responsible for the contents, services, transmissions, software or web casts provided on any linked site or any site that is linked to a linked site. Waterfront West provides these links only as additional information and does not endorse these sites, or their contents. We are not responsible for any acts or omissions of these sites and do not make any warranties regarding the security of your information (including credit card and personal information) collected on these sites. You are responsible for investigating any third party site or content before proceeding with any transactions and we hereby waive any claims made against us with regards to these issues. If you choose to send Waterfront West any creative materials, questions, ideas, suggestions, notes, or drawings in the form of e-mail or postings on this Site, you agree that these are non-confidential and waive all intellectual proprietary rights to these materials. Waterfront West may own exclusive rights to and unrestricted use of these materials without compensation to you, for commercial or other use. The submission of materials to Waterfront West, in any form, waives any moral rights to this property. Waterfront West reserves the right to monitor, edit or remove any and all content on and determine any operating rules for this Site. By using this site, you agree that Waterfront West has the right to modify, edit, remove or reorganize any material that is posted by you or any other party on this Site at any time. Copyrights: All contents of this Site, including, but not limited to text, digital images, organization, digital conversion, graphic and other files are either Copyright Waterfront West, or copyright any of Waterfront West's suppliers or subcontractors. Copying, modification, distribution, posting, transmission, use or publication in any form of any content on this Site prior without written permission from Waterfront West is strictly prohibited. All rights reserved. Trademarks: Waterfront West is currently in the process of applying for a trademark. Waterfront West, www.waterfrontwest.ca, www.waterfrontwest.com and the Waterfront West logo may not be copied, imitated or used, in whole or in part, without prior written permission from Waterfront West. The User agrees to hold unaccountable, defend and indemnify Waterfront West Real Estate, its affiliates and their respective proprietors, directors and employees against all claims and expenses including attorneys fees, arising out of the use of this Site by the User or the use of the Users account. The User agrees that the use of Waterfront West’s Web Site is at the Users sole risk. Waterfront West, its employees, affiliates, proprietor and third party contributors do not warrant that this Site is error free or will be uninterrupted. Furthermore, they do not make any warranty as to the accuracy, reliability or results obtained from use of information or services provided on this website. Waterfront West is not responsible for typographical errors or omissions or misrepresentations in text, photography or pricing on this Site. This web site is provided without warranties of any kind, either expressed or implied. WHILE WATERFRONT WEST ATTEMPTS TO ENSURE YOUR ACCESS AND USE OF THIS SITE IS SAFE AND VIRUS FREE, WE CANNOT WARRANT THAT THIS SITE OR ITS SERVERS ARE FREE OF VIRUSES OR OTHER DESTRUCTIVE ELEMENTS. USE OF WATERFRONT WESTS SERVICES IS AT YOUR OWN RISK. Waterfront West, it's proprietor, employees and its suppliers, subcontractors, affiliates and / or their employees are not liable for any direct, INDIRECT, PUNITIVE, INCIDENTAL, OR CONSEQUENTIAL DAMAGES OR INJURY ARISING OUT OF THE USE OR INABILITY TO USE THIS SITE OR ANY PRODUCTS, SERVICES OR INFORMATION OBTAINED THROUGH THE USE OF THIS WEB SITE OR ANY OF WATERFRONT WEST'S ADVERTISERS. Waterfront West disclaims any liability for damages or injury cause by failure of performance, deletion, defect, delay in operation, communication line failure, theft or destruction, alteration or use of record, negligence, tortuous behaviour, unauthorized access or any other action of users of this site. THE USER HEREBY ACKNOWLEDGES THAT THE PROVISIONS OF THIS AGREEMENT APPLY TO ALL CONTENT ON THE SITE. User acknowledges that Waterfront West is not liable for illegal or offensive conduct of other users or third parties and that they take full responsibility for risk of injury from the aforementioned causes. Waterfront West, it's proprietor and/or employees are not responsible for any errors or delays on the part of our advertisers in responding to email inquiries or phone calls, or any delays related to the User providing us with incorrect e-mail or contact information. We are not responsible for other technical problems beyond our control. Waterfront West, its proprietor and employees are not responsible for any failures or delays in performance due to circumstances beyond its control such as Acts of God, war, riots, acts of aggression (Civil or Military), fire, floods, outages, accidents or service outages resulting from software failure, telecommunications breakdowns, network failures, failure of third party services including providers of internet services. The party affected shall notify the other party a maximum of 15 days from the occurrence, at which point the performance agreement shall be suspended. All rights not expressly granted herein are reserved. Waterfront West Real Estate 2006.